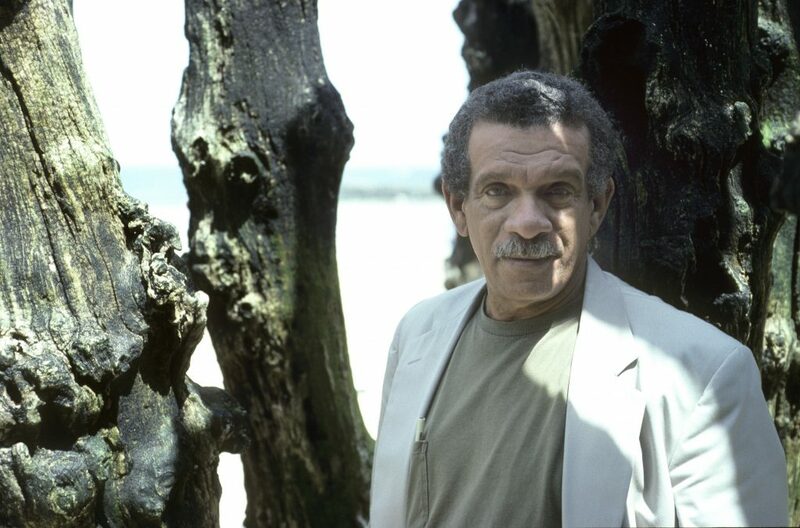 Since Nobel laureate and Caribbean poet and playwright Derek Walcott died Friday, remembrances have flooded in for the complicated but mighty writer, who captured the lush beauty of the Caribbean and the brutality of its colonial history. We’ve collected several of these tributes, from a Caribbean street photographer, poets and other writers. Many pointed to the importance of one Walcott poem, “The Sea is History,” which argues that the history of the Caribbean cannot be stolen, because it is in the sea. The landscape was often at the center of Walcott’s work. Read those remembrances — along with “The Sea is History”– below. These comments have been edited lightly for length and clarity. I believe when Caribbean people talk about Walcott, we talk about him under the stars after a night at the club. We sit on our cars or against the nightclub walls reminiscing about how we felt in literature class after reading one of his poems. We would talk about being imbued with an identity solely scraped up out of the ashes of mediocre lives. In his poetry, his grandiose sentences, Walcott was able to unlock feelings of shame that we felt about being descendants of slaves. His writings were able to inspire the best in many, especially his fellow artists who reached for the spaces to sculpt our own personalities. Caribbean people enjoy feeling like they are from the Caribbean. And Walcott’s poetry made us feel like we belonged — that we were not shaped by the hands of our colonizers but architects of our own stories. My favorite poem by him is “A Far Cry From Africa.” The culture that Derek Walcott helped to foster in the Caribbean (one of pride, rooted in the voices of our ancestors) is something that continues to inform my photography. I look at how black images have been defined in the past and hope that my work continues to redefine how we, the “other” here and around the globe, see black folks. 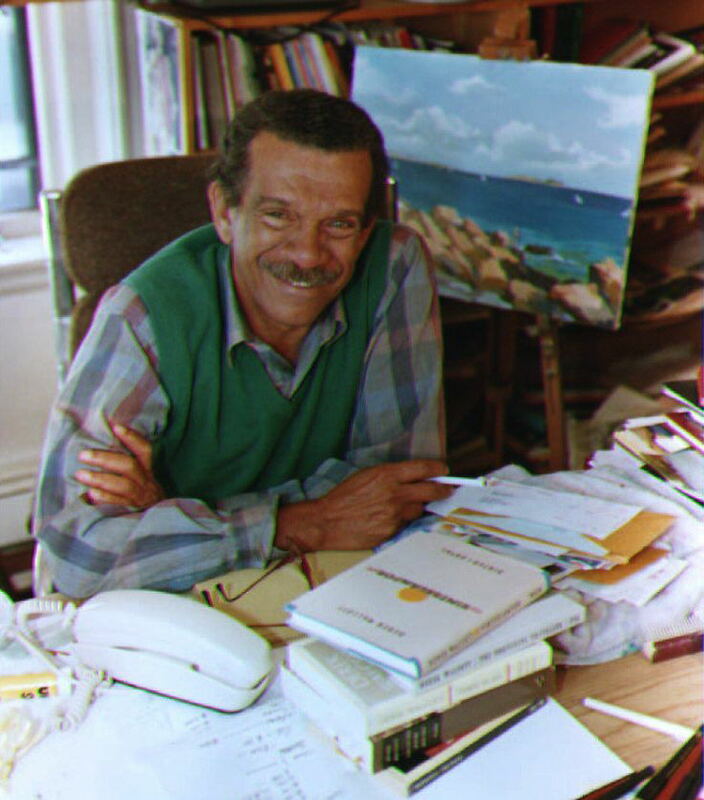 When I met Derek Walcott in the fall of 1989, I had no idea that I was in the presence of a Herculean poet. I was young and relatively unfamiliar with the Caribbean-Anglophone poets. I was with a member of the Dark Room Collective when we went to pick Walcott up from his Boston apartment, and I remember as soon as I entered I was in awe of his books and paintings. The vibrant colors, and the vivid details; such beauty, I thought. I wanted to ask him innumerable questions about St.Lucia, Trinidad, and his paintings, but I was timid, and his piercing gaze reminded me of my grandfather. I remained silent until he said to me: “Ou ka pale patois (Can you speak patois)?” His question puzzled me because I spoke Haitian Creole and not patois. I thought about it for a quick second and answered in the affirmative. He smiled at me and handed me one of his books, “mwen sav ou pa posede liv sa a (I know you do not have this book)!” The autographed book he gave me was “The Arkansas Testament,” the first book of his that I read and fell in love with. I’m thinking of the poem “Saint Lucia’s First Communion” in which the condition of children on the island exposes the ongoing dilemma of being a former colonial subject shackled by rituals and poverty. That Sunday, after Derek Walcott read his poems to us, I began to realize his grandeur as a poet. I purchased “Midsummer” from him. I was utterly excited by the prospect of entering the Caribbean landscape through the sensibility of a methodical and lyrical poet. Derek’s works proves and sustains what Hemingway — an author he revered — calls “grace under pressure,” which I take to mean a duty to poetry, a faith in its craft without compromise in spite of failure or success. I am in awe of that devotion, an awe I guard jealously because I am from his world, the Caribbean — though there are marked differences in our experience of it — which he celebrates and holds accountable. I try to avoid telling anecdotes of my encounters with him because they all mean something deeply personal to me. Every single, average moment was magical and I feel talking about it reduces what I cherish and cannot voice about his presence. But this one I will share, about visiting him one autumn 10 years ago at Boston University, where he was teaching a playwriting class. After the session, he took the students to a Chinese restaurant, and during the walk there he and I sort of tagged along in the back. Even then I was thinking of the strangeness of walking with him, us in winter coats, leaves swirling about; the scene was like from a film. Not a lot was said, and most of it repeated questions. “You really like George Barker?” he asked me a few times, and my answer was the same yes with different words. But when I told him the Jamaican filmmaker Perry Henzell had died, he stopped in the leaves on the pavement and looked at me for a very long time. I wish now I could remember precisely what he said after the long silent stare, but it amounted to “he was a good man and a good artist.” We then walked on to the restaurant. I think I came across Walcott’s work for the first time in the 1970s, while I was in high school in Jamaica. By the time I got to university, Walcott and Kamau Brathwaite were the two major Caribbean poets. There was a tremendous amount of intellectual discussion, like there is with Michael Jackson and Prince, asking: Who is greatest? These were the lines of ideological discourse, which was a lot of nonsense because they were coming from similar grounds. I felt my experience with reading Walcott was that I struggled to understand everything he was writing, but I went back to it because of its sinuous metaphor and the intensity of language. Brathwaite was more immediately accessible, while Walcott had this ambition in writing the landscape of the Caribbean. I met Walcott probably in the 1990s, and I’ve met him and interviewed him on stage on several occasions. He’s known for being a bit of a curmudgeon in talking about work, but my experience is that I found him generous and thoughtful. In my work I’m often both quarreling with him and being guided by him, and I think he appreciated that — the conflicted sense of that. I think the poem “Sea of History” is a stunning poem and it’s so iconic. He introduces the idea of the Caribbean and creates this incredible conversation around the Caribbean person being told they have no history, or that they are deprived of a sense of history. But he says our history is in the sea. That’s where our cathedrals, our tombs are. Its Walcott facing tradition, and ruins and landscape, and saying: I still have a place in that landscape. It’s saying art that comes out of the Caribbean, comes out of the landscape. He says that we can write all we want but it’s irrelevant, because the landscape is the poem. It’s a clear political statement being made. And in the poem we see his wonderful rhetorical skills and exploration of place and identity. 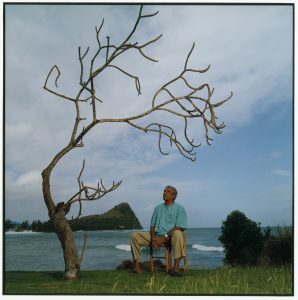 “The Sea Is History” from THE POETRY OF DEREK WALCOTT 1948-2013 by Derek Walcott, selected by Glyn Maxwell. Copyright © 2014 by Derek Walcott. Used by permission of Farrar, Straus and Giroux, and Faber & Faber. find our cathedrals, our history, our glorious tomb. before deporting him to the asylum of fire and healing. sane so that we can live to go mad in our secret chambers. the soft snore of a man waiting to leave the shore at last. or the melted smiles that flows out as tears.